Japanese manga artist Miki Miura, known by her pen name Momoko Sakura, passed away from breast cancer on Aug 15. She was 53 years old. Miki Miura is one of the well-known manga artists in China, and many domestic internet users expressed their sorrow over the loss of a genius artist. "Thanks for the company of Chibi Maruko-chan in my childhood. 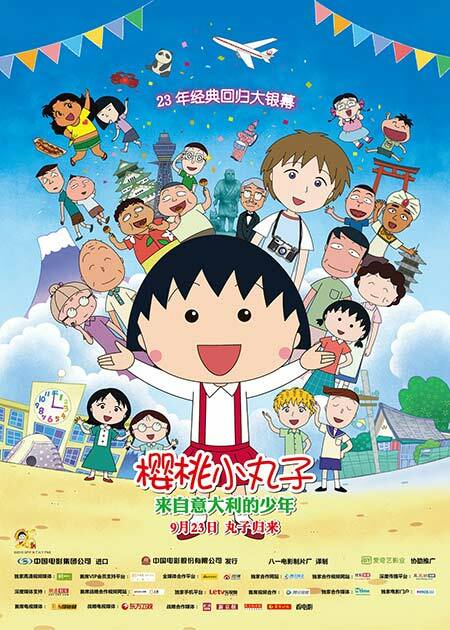 Chibi Maruko-chan is one of the best memories of my life," WeChat user Chai Li-li said. "I still keep many Maruko posters in my room, and she is my favorite anime character," another WeChat user Wang Junsha added. Born in 1965, Miki was the creator of the long-running manga series Chibi Maruko-chan, which depicts the simple yet interesting life of a young girl called Maruko and her family in suburban Japan in the 1970s. Momoko Sakura started the series in 1986. Many stories were inspired by incidents from her own life, and some characters are based on family and friends. In 1990, the commercial TV broadcaster Fuji Television began airing the animated version of the series. Over the past three decades, the animation has stayed on the air and is one of the most popular TV series in Japan. The nostalgic mood and childlike innocence of the animation made Maruko a cultural icon in Japan and Asia as a whole. On Monday, her office released a statement Sakura made in 2014, on the 30th anniversary of her debut as a manga artist. In it, she said she had experienced many good things and difficulties over the past 30 years. She said she led a happy life as an author, and was thankful for that.